Mackenzie and Brian's wedding at Faithbrooke Barn was absolutely gorgeous!! I LOVE this venue oh-so-much and the owners are the absolute sweetest! I love all the details that Mackenzie included in their day, She chose simple centerpieces that consisted of portraits of her and Brian when they were younger to correspond with the table number (SO cute!!) and their cake by Bijou Sweet Treats had a nice nod to Star Wars ( Brian's Favorite)-They also entered the reception to one of the scores from Star Wars! Bissie their pup made a lovely flower girl, even though she wasn't much for her flower collar. Each moment was so special and I teared up quite a bit on their day, Just looking at these portraits again gives me all the feels! 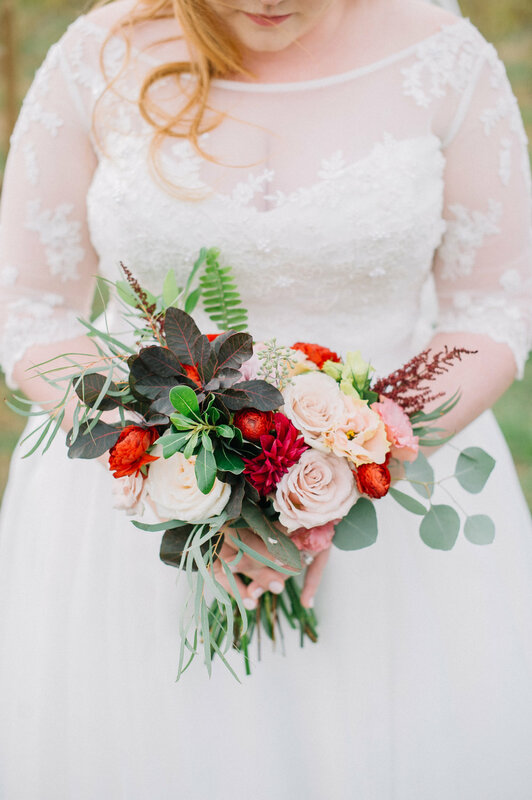 I hope you enjoy a little sneak peek into their day and find some inspiration!